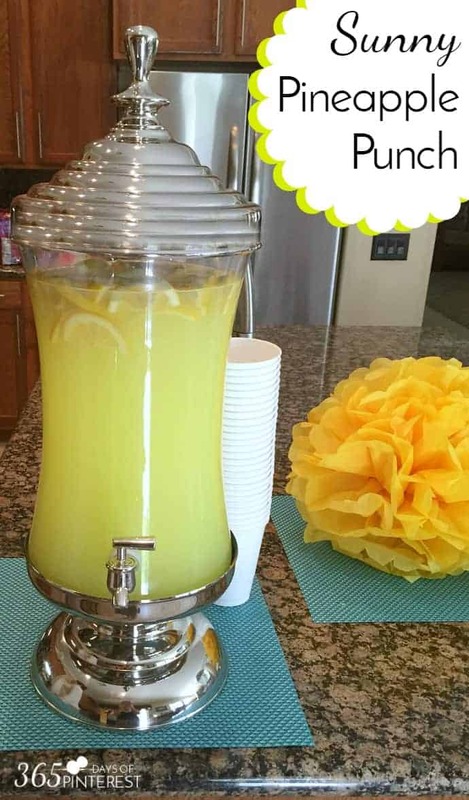 This sunny yellow Pineapple Punch is perfect for baby showers, wedding showers or even brunch! 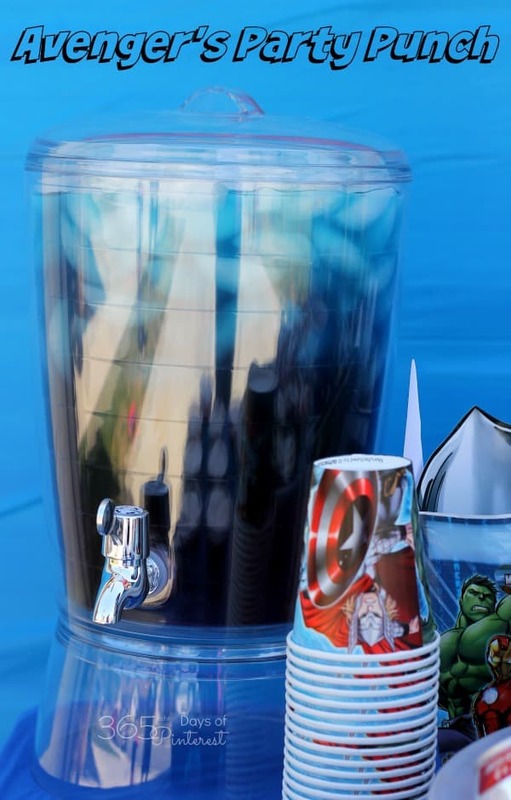 I think a great punch is the final touch in a well-planned party. 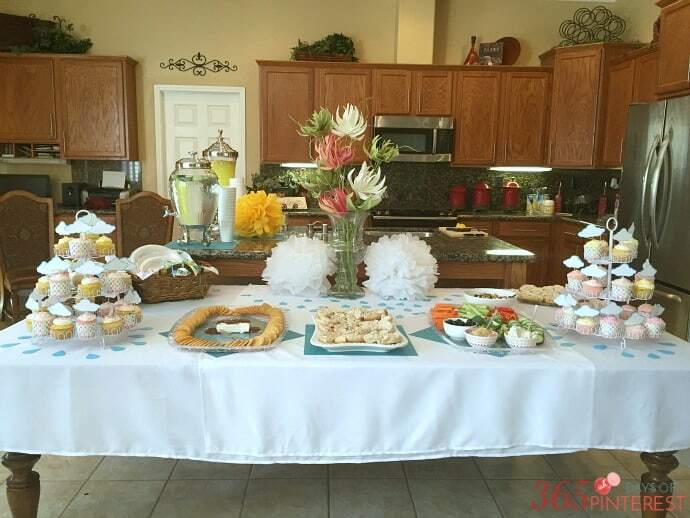 It adds a pop of color that goes with your theme and pulls the food table together so nicely. 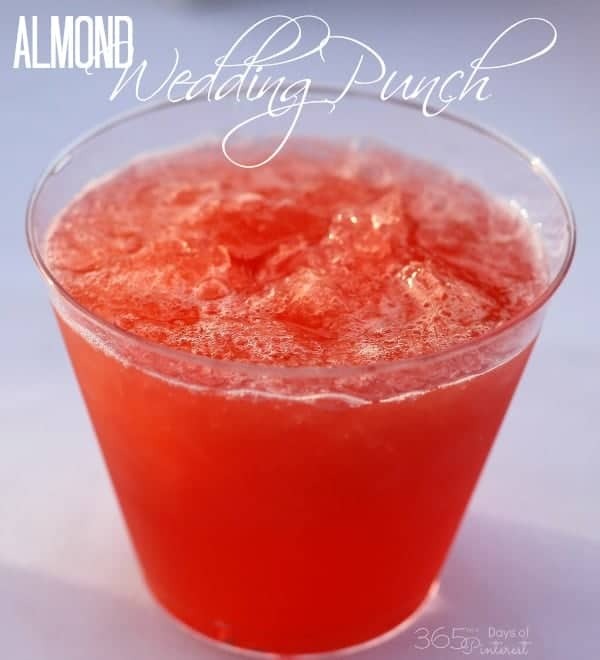 And even though party punch is so easy to make, it’s not something that you have at home on a regular basis, so drinking it is a special treat. 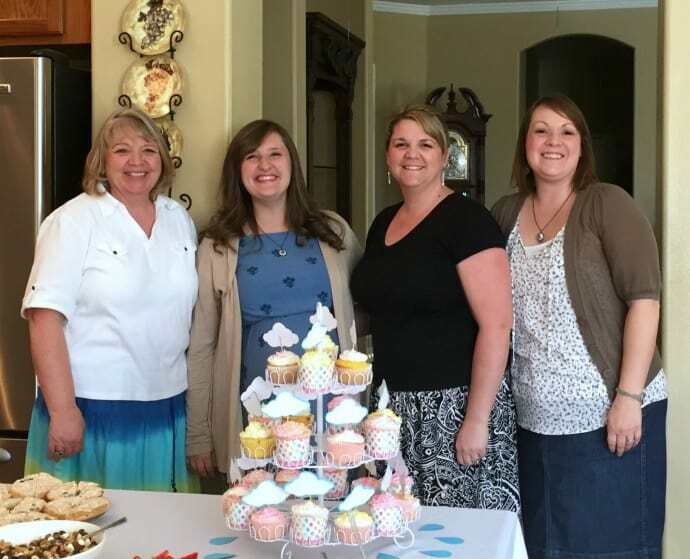 As I mentioned in Friday’s post where I shared the veggie dip recipe, we hosted a baby shower for my sister-in-law, Jamie. 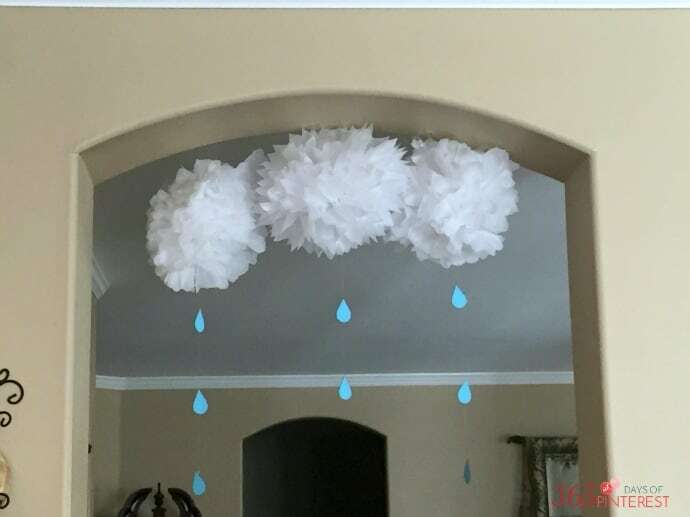 The theme was a baby “sprinkle” because she didn’t need a full-blown shower for baby #3. We had pops of blue and then bright sunny yellow here and there. We served simple light snacks because the party was in the afternoon. We had pink and yellow cupcakes, a vegetable tray, crackers and cheese, bagels with spread and trail mix. 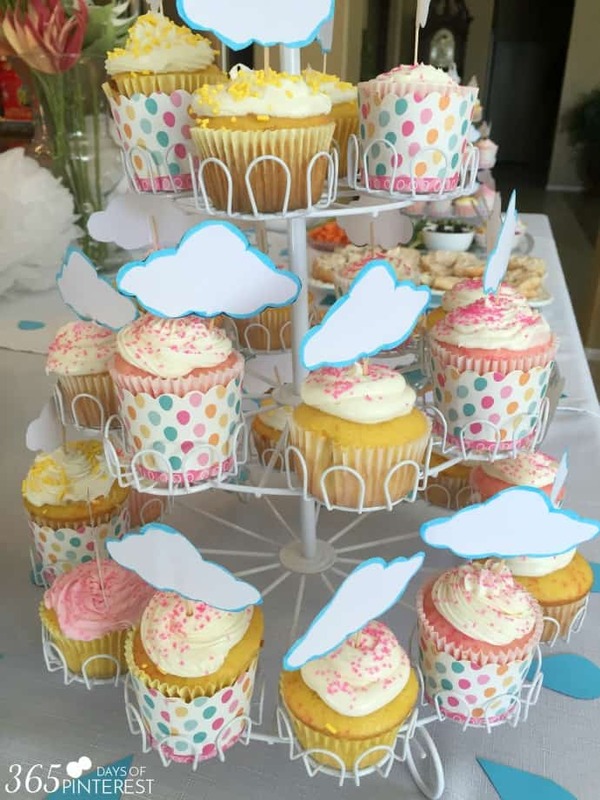 For an extra little touch, we added clouds to the cupcakes. 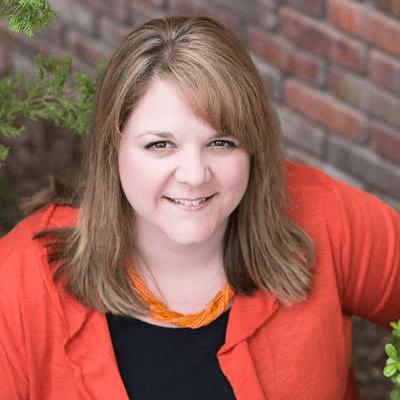 You can download the free template from Pattern Universe here. I had pretty cupcake “cups” leftover from Easter last year and we used them for an extra pop of color on the table. Now, back to our pretty yellow punch! 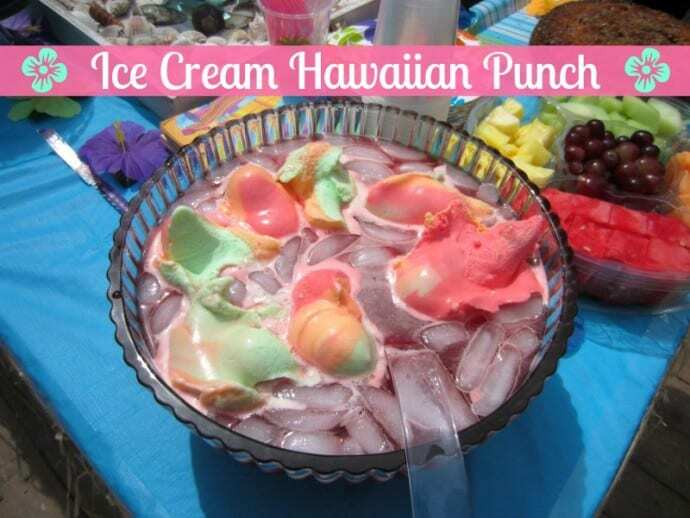 Believe it or not, you only need three ingredients to make this! 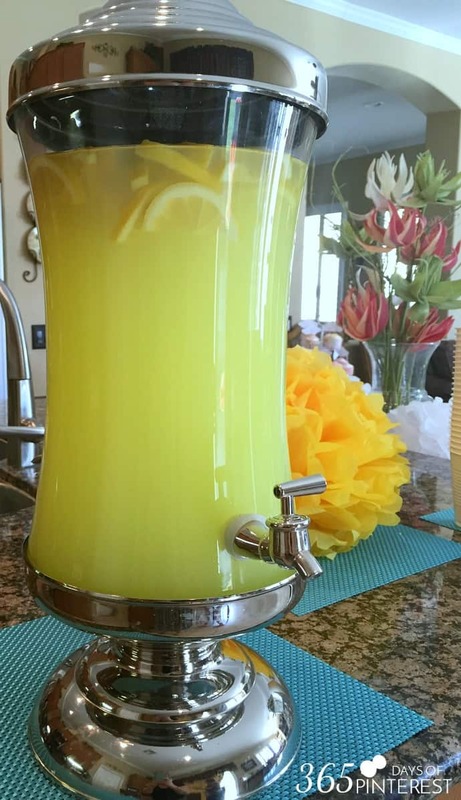 The sliced lemons aren’t necessary, but I would, because it’s so pretty to see them floating on the top of the punch. 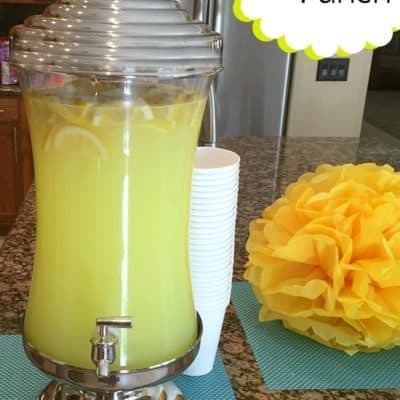 If you’re looking for great party punches like this Pineapple Punch, check out these other recipes! Hi, where did you get the punch bowl. Where can I get the little cupcake cup holders you are using and also the cupcake stand? How did you make the little white and yellow “puffs”?